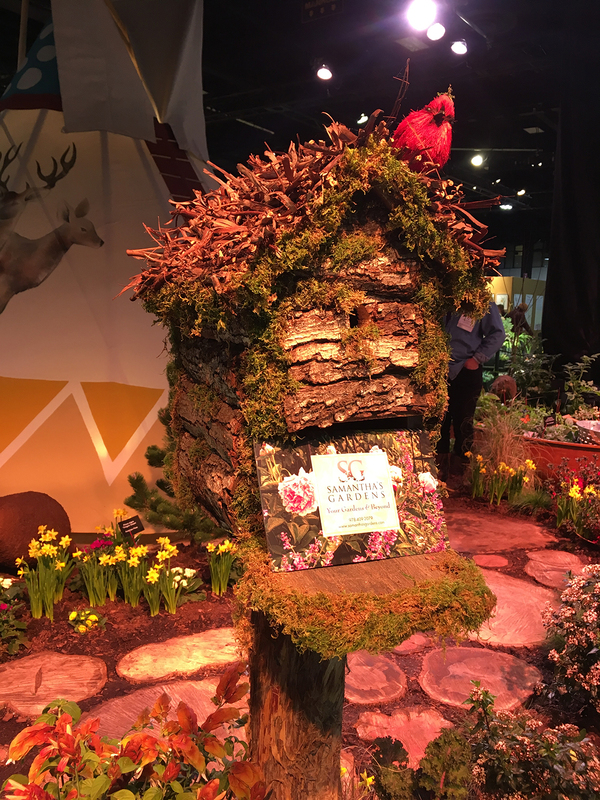 How does your exhibit reflect the show’s theme? We love spending lots of time outside, not just in our gardens but also getting out into the woods. There is little that can compare with the feeling of the earth, stones and roots under our feet, the sounds of winds rustling the leaves and pine needles while the birds sing overhead, the beauty of the infinite shades and layers of green around us accented by the trunks, boulders, streams and ponds, and oh the sweet taste of a summer blueberry! We believe that Mother Nature creates the most beautifully balanced landscapes. We attempt to capture the calm, soothing tranquility of a natural forest scene with a meditative space that draws individuals to immerse themselves in the beauty of nature in hopes of bringing balance back to their lives. Is there anything else about your exhibit that you think the public would enjoy knowing? We would like the public to know that this natural beauty is accessible to all of us. Thanks to town, community, state and national parks, botanical gardens, arboretums and the properties of originations like the Audubon society, Trustees of Reservations & The Nature Conservancy the beauty of our natural landscapes is not far away, no matter where we live. Spending time in wild places can have both physical and mental health benefits. Leaving technology behind and exploring the sights, sounds and smells of nature can lower stress and leave you feeling rejuvenated. We would like everyone to know that we at Samantha’s Gardens can also create a beautiful secluded natural destination in their landscapes as a place to retreat to and help them to bring balance to their lives.